I’ve never made a quilt of any kind before but last year I found these pre-pieced panels and fell for them. 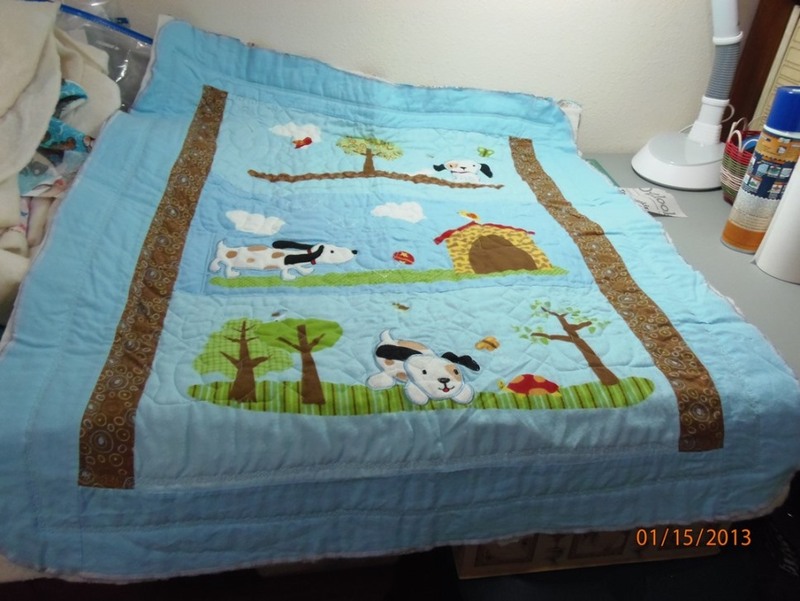 I dug them out of my stash last week and on Sunday I quilted the first one (the dog quilt—-I still have a monkey quilt to be done). 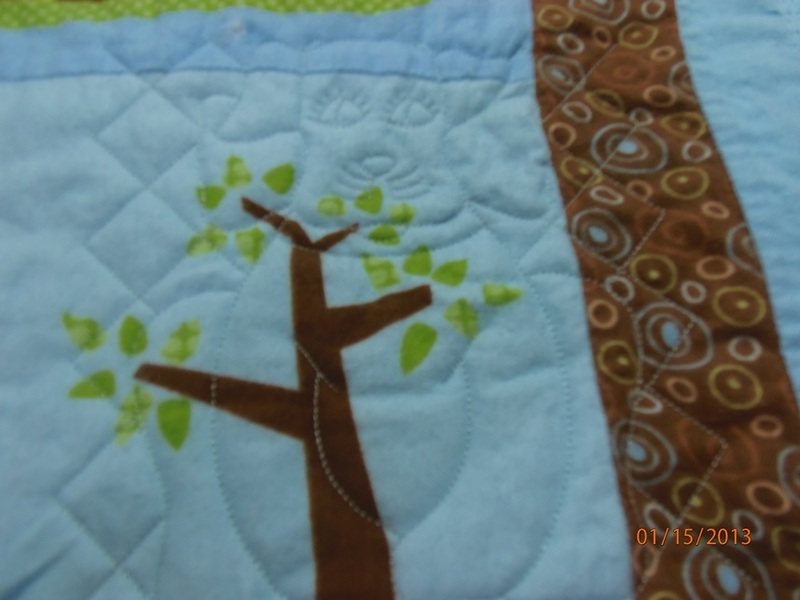 In these photos you can see the overall quilt which is just a yard square, and the pattern I quilted into it. I still have to put the binding around the edge but just bought that yesterday and haven’t been back in the sewing room to get it stitched on. I’m pleased as punch even though it’s no way perfect. But I did it all by myself, of course, after asking others for tips and watching a million YouTube videos on how it’s done. Yay, me!!!!!!! I did a couple of baby bibs last week and now working on two quilts so some sweet baby is going to get a treat this year.